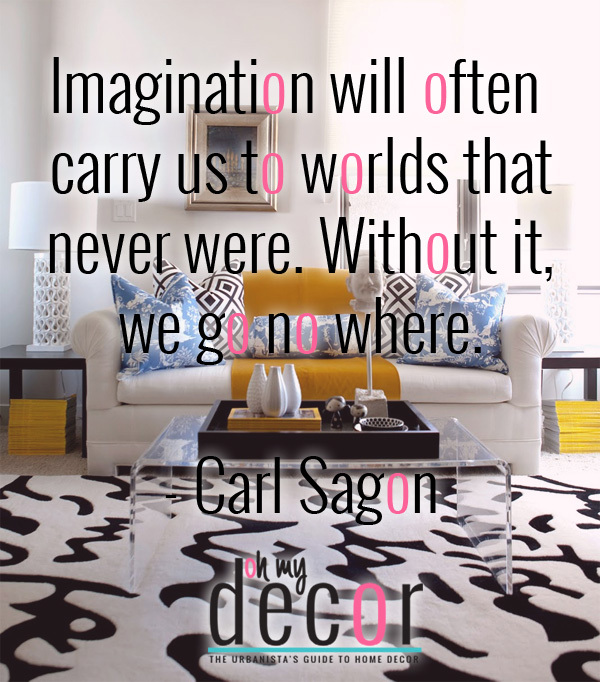 Today’s #QOTD is from Carl Sagon about imagination..
Who ever said that having a creative imagination is for kids isn’t living at all. A life without creativity would be boring. All these beautiful spaces we see, music we hear and fashion we wear all come from the imagination. So imagine until you can’t imagine no more ..and see where that takes you!